There will be times when you do not have the children over the holidays. So, make the best of it. Spend more time with friends and family. Look for activities that you enjoy, and do them. Take time to exercise -- it will get your endorphins pumping and help you to feel good physically and mentally. Lack of communication between children and a parent is a frequent cause of conflict during the holidays. “I haven’t been able to speak to my kids for a week, and their mom won’t pick up the phone when I call.” -- “Whenever Meagan calls me, I can hear her dad listening on the other line.” -- “My kids told me that my ex won’t let them talk to me on the phone.” When children are in the home of a parent, they should be allowed to have reasonable telephone contact with the other parent, especially during the holidays. This eases the children’s fears and shows them that their parents are willing to work together for their best interests. Problems can be avoided if the parents are willing to discuss this issue prior to the holidays and work out a reasonable schedule for phone calls – and, of course, it is important to be flexible. Gary Frank is a Family Law attorney with more than thirty years of experience as a litigator, a mediator, a judge pro tempore, and a children’s advocate. His practice includes divorce; custody; parenting time disputes; child support; spousal maintenance; actions to enforce and/or modify orders; grandparents’ and non-parents’ rights; move-away cases; division of property and debts; and all other matters pertaining to families and children. We have offices around the Valley to better serve our clients. 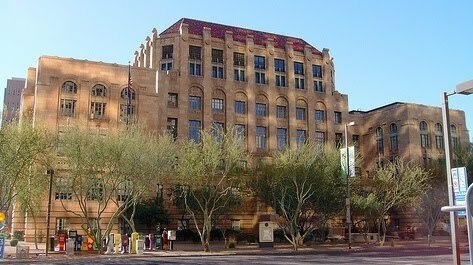 If you would like a consultation, please do not hesitate to contact us by telephone at 602-383-3610; by email at gary.frank@azbar.org; or through our web site at www.garyfranklaw.com.